To improve security, the NT LAN manager version 1 (NTLMv1) protocol is now disabled by default. If you require the insecure NTLMv1 protocol, set the ntlm auth parameter in the /etc/samba/smb.conf file to yes. The SMTP server did not respond in a timely manner. Please check the Port Number and the SMTP Server (Relay) Name. 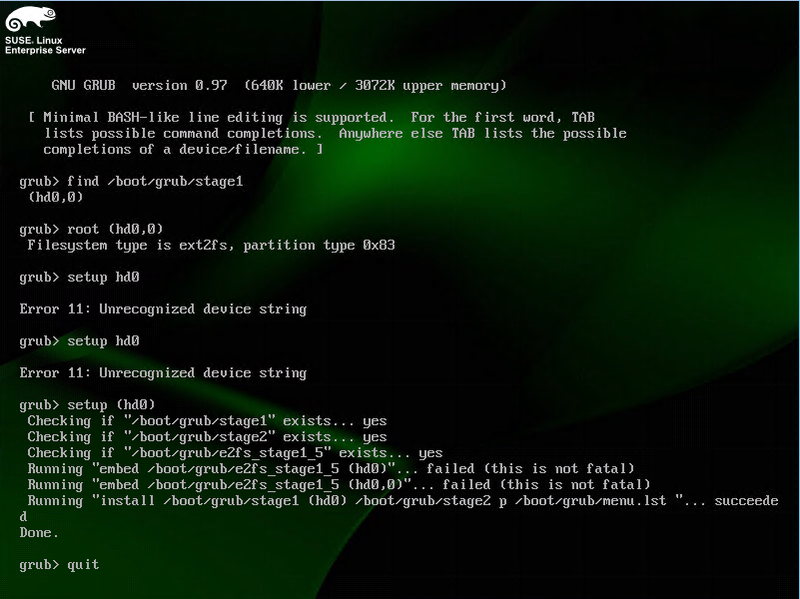 When trying to enable xinetd to start on boot, insserv was throwing error message and not enabling it. insserv: Stopping esmrc depends on OVCtrl and therefore on system facility `$all’ which can not be true! • Some scripts depend on other scripts which depend on the system facility $all which cannot be true. Because the scripts depending on $all is loaded last at starting. Since it loads last, nothing can depend on it. Hence, messes up the dependency based boot sequence. • Some packages being upgraded to newer versions which may not use a script in /etc/init.d/ and the maintainer may have missed the code to remove the old script. Not our mistake. # monitored for compliance with security policy. # ‘/sbin/sh’ by esmsetup and by the tune-up pack. The directory /var/lock/lvm must be writable. So you have a /var or / filesystem read-only. Booted the system adding init=/bin/bash at the end of the kernel line.